Protests in Sudan: Change on the Table? Shaking Sudan: Is Change on the Table? December 19, 2018 marked the beginning of the country-wide anti-regime riots shaking Sudan. Sparked by the price of bread’s sharp increase from 10 to 30 Sudanese Pounds ($1.5 to $4.6 USD), the protests reflect the hardships of daily life in Sudan. The staggering rise in inflation prevents the import of many staple commodities such as bread and fuel, threatening the viability of many small and medium enterprises and making the daily lives of many Sudanese increasingly hard. Key events in Sudan’s recent history have led to the current situation. 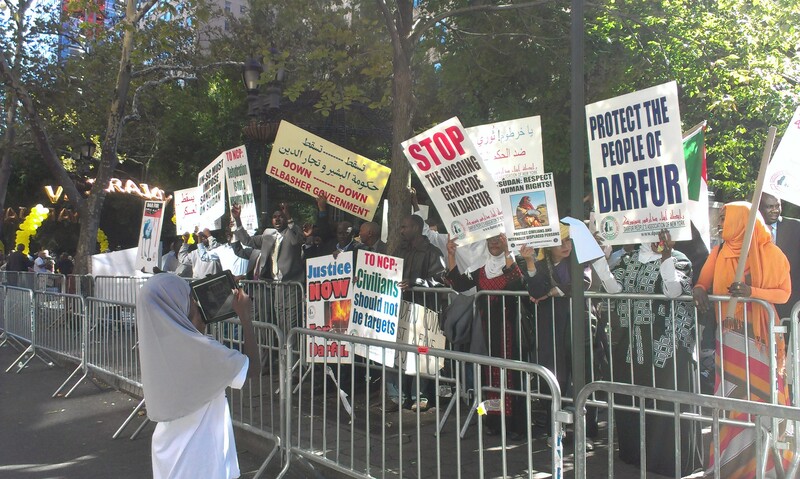 First, President Al-Bashir has lacked support from many Western countries since his 2009 indictment by the International Criminal Court for his major responsibility for the genocide happening in Darfur since 2003. Moreover, the secession of South Sudan in 2011 eliminated Sudanese access to 75% of its former oil resources, turning Sudan from a key regional exporter in primary fossil and agricultural resources into an imports-dependent country. Indeed, the case of Sudan has sparked debates regarding the political dimension of international aid. Who is harmed by international sanctions: the population or the ruler? The two-decades-long US sanctions on Sudan, similar to the ones currently applied to Iran, deprived Sudan from the presence of international banks and engagement in US dollar transactions. The lift of these sanctions in October 2017 did not meet Sudanese expectations. Instead, it resulted in soaring inflation and timid Western investment for the past year and a half. Investments from China, Egypt, and Saudi Arabia have been pouring into Sudan, a strategic player in the region. However, this has been insufficient. The removal of US sanctions proved that there are more than international factors at play in Sudan’s economic struggles. While the US sanctions and international reluctance to engage in business with the country further destabilized the Sudanese economy, most of the responsibility for the country’s decade-long crisis is to be carried by its leadership’s mismanagement of state resources. Underlying the current protests is the realization for many Sudanese that in spite of his accusations against the West, Omar al-Bashir is the main culprit for Sudan’s socio-economic turmoil. Al-Bashir’s leadership is not only facing yet another challenge – it is facing its first crisis of legitimacy. The wave of protests began on December 19th, 2018 in Atbara. The movement gained momentum as it was backed by 23 Sudanese opposition parties, and was increasingly organized by the Sudanese Professionals Association, the largest labour union in the country. While Sudan has seen several uprisings in the past decade, the size of the current protests is unprecedented in terms of length, country-wide engagement, and broad involvement of all social classes. The relentlessness of the protesters in spite of the known willingness of Al-Bashir’s regime to engage in sanguinary acts against its own population denotes the importance of this movement. To this day, human rights organizations count around 40 deaths among the protesters, while the regime only acknowledges 29. Police forces are attempting to put a lid on the protests by using live fire on the largely non-violent marches which have been happening for the past month. Al-Bashir is on thin ice in the international community when it comes to its human rights record, which might keep the regime from engaging in more violent responses. However, the unprecedented challenge to the President could lead to the disposal of the current strategy employed by the regime towards a disproportionally brutal use of force against the protesters, if the regime truly fears it may be overthrown. 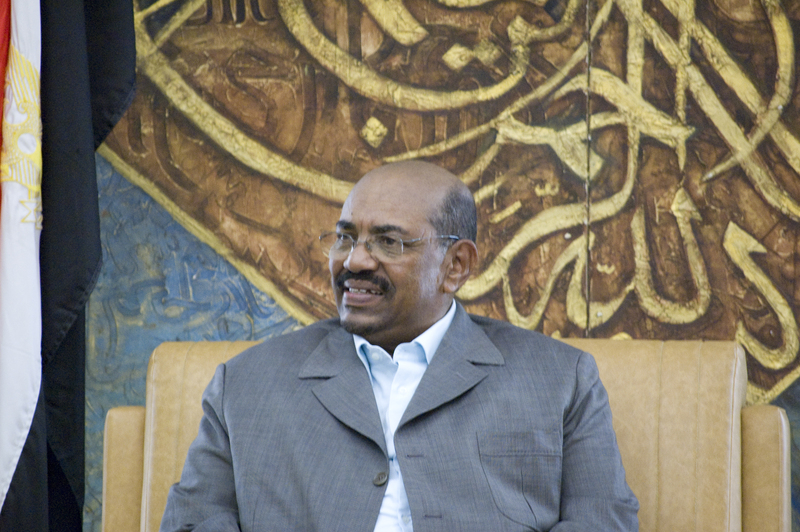 The jury is still out regarding whether Al-Bashir will remain in power or not. Can he? McGill University Professor Khalid Medani argues that Al-Bashir is definitely fearing the end of his three-decades-long rule over Sudan. His trip to Qatar on Tuesday January 23rd seems to be an attempt for the President to gain an ally and secure a safe haven if the protests were to get out of hand. Because of the international reluctance to back him, and because of his ICC indictments, he rightly fears he might be arrested if he were to cross the border. 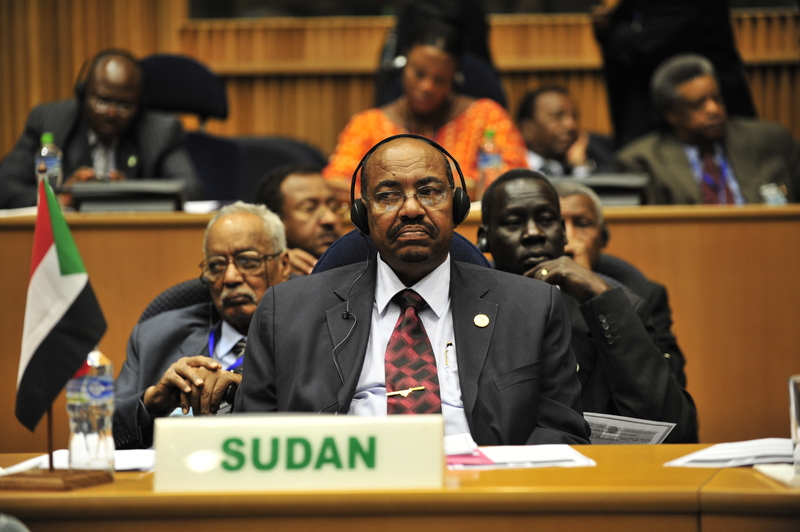 Without countries willing to overlook his ICC indictment, Al-Bashir would have nowhere to go. In such a drastic zero-sum game, Al-Bashir might order the brutal repression of the protests. In his calculus, a bloodbath could be worth the survival of his regime. Yet, as Professor Medani notes, his downfall might come from within. While Al-Bashir’s last rally gathered thousands of supporters, these come mostly from the patron-client networks the President has developed and not from the higher military ranks from which he hails. The international community’s reaction remains delayed. Sudan is a strategic actor in the region, and the world does not need another Yemen or Syria. The possibility of this outcome may be scaring away bolder international political action. However, the potential for an internationally-backed military coup might rise as violence against civilians does. Professor Medani explains that Al-Bashir’s support in the higher spheres of power is getting weaker. The outcome of a military takeover is uncertain. However, unlike the bloody takeovers that have happened in Yemen or Syria, Sudan experienced a relatively successful democratic transition which led to its current multiparty parliamentary system. While it did not happen without unrest, the state did not collapse as it did in other instances of military takeovers. Hoping for the best won’t be enough, but talking about an impending doom would be denying Sudan the strength of its civil society and the power of the current popular movements. The Western media coverage of the protests in Sudan is minimal to say the least. However, this popular movement is unprecedented in the country and carries high hopes for the Sudanese people. It is important to closely follow these events as they might create a new path for Sudan as a key regional player.